For the laboratory it is now that time of year again when we engage in International Round Robin testing. The Australian supplier of Certified Reference Materials (CRMs) Geostats provides samples for analysis to over 100 laboratories around the world. The combined results provide Geostats with the data to fix the standards which they then provide to industry, including ourselves. The tests cover a range of minerals including cobalt which, alongside lithium, is in increasing demand for battery manufacture. The Round Robin exercise is a valuable check on our Quality Control Standards. Our last round produced just a single outlier in 155 samples analysed, an impressive result by any standards and one which we are keen to maintain in the forthcoming round. Following our news item in September, the global interest in lithium continues to develop, fuelled no doubt by government promises of support for the development and use of electric vehicles confirmed in yesterday’s budget. The use of lithium batteries in electric vehicles is driving manufacturers to ever greater lengths to ensure their future supply of the metal. Amid fears that producers may not be able to fulfill down line commitments for the metal, the latest trend among manufacturers is the purchase of pre-mined lithium – that is lithium which is still in the ground. All a clear demonstration of just how important the element is becoming. When the necessary new sources are found, huge investment is required to reach extraction, and that investment relies on accurate and reliable analysis. The Wheal Jane Laboratory is well placed to provide this analysis to the mining world through its extensive experience in lithium analysis, developed over a decade of helping clients in South America, Europe and Asia as well as in the UK. The laboratory has now become a world leader in lithium analysis, now using not only industry standard methods but also methods developed in-house. 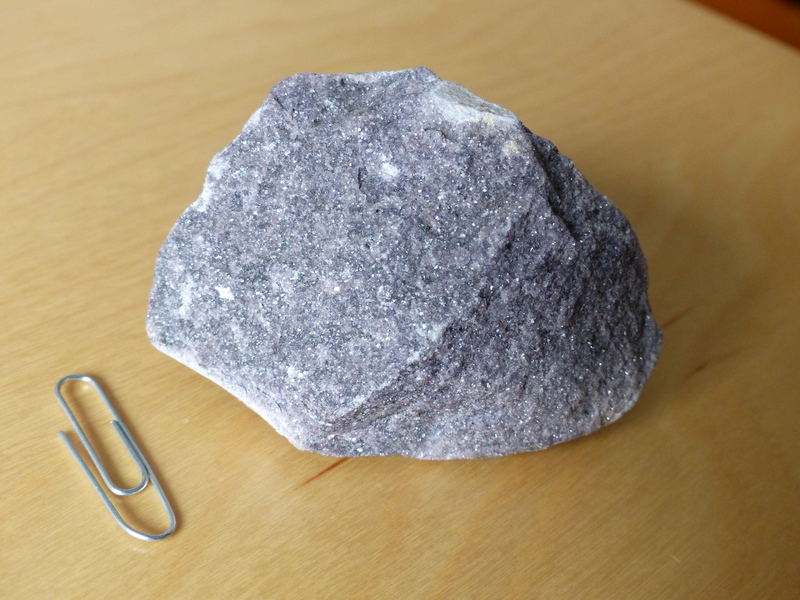 The news of lithium deposits in hot springs that occur naturally beneath the surface in and around Cornish granites could lead to a resurgence of the mining industry in Cornwall. 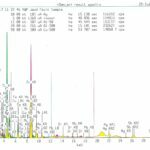 Wheal Jane Laboratory can provide first class analytical services for anyone looking to invest in Cornish lithium exploration. 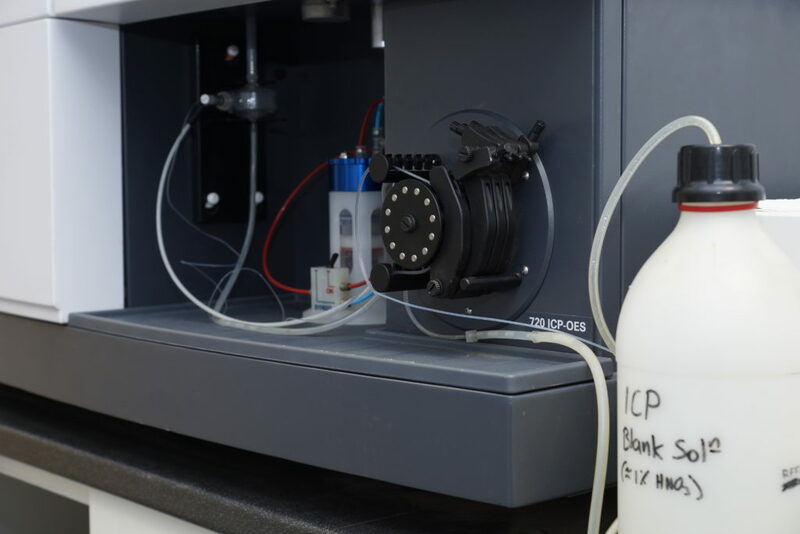 We continually invest in new technology such as ICP-OES whilst retaining traditional wet chemistry skills which make our services perfectly placed to analyse for lithium in water samples or mineral deposits using a variety of techniques. Over recent decades, we have applied our historical knowledge and expertise to mining projects from across the world; however, we are excited to have the opportunity of working closer to home now there is exploration potential in the county again. 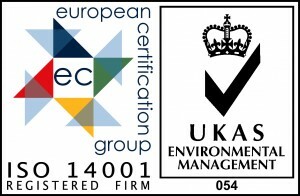 Wheal Jane Laboratory is a UKAS 17025 accredited testing laboratory No. 4443, and offers a complete analytical service. We specialise in mining, mineral processing and environmental analysis for clients worldwide. 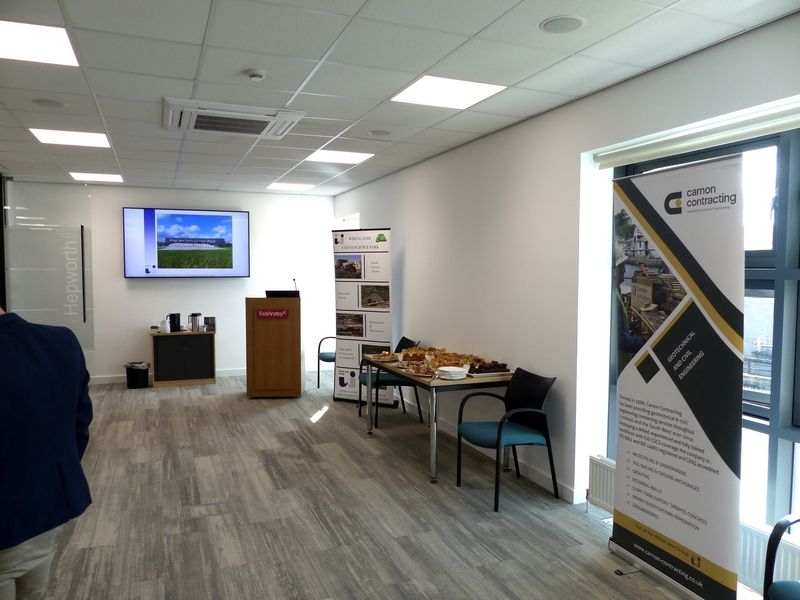 As recent posts have demonstrated, our laboratory is providing analytical services for an increasingly diverse range of projects, the recent incident at Falmouth Docks involving the collapse of a giant crane being a good example. Following the collapse, a 200m exclusion zone was established as the crane had fallen onto ten acetylene cylinders (rather than the Royal Navy vessel moored alongside). Once the potential danger of the cylinders was resolved and the area deemed safe, the task of salvage and removal could begin. It was at this stage that the Wheal Jane Laboratory was approached to analyse material from the cabin panels which it was believed might contain high levels of lead. Our laboratory’s capability, including ‘large sample mode’ XRF, enabled whole segments of panel to be analysed without extensive sample preparation. 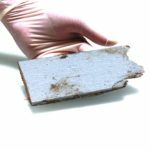 The chemical profile provided by the analysis enabled appropriate and safe disposal of the panels to take place quickly. A sample of panel material is pictured, along with a print of the complex XRF analysis of the paint. 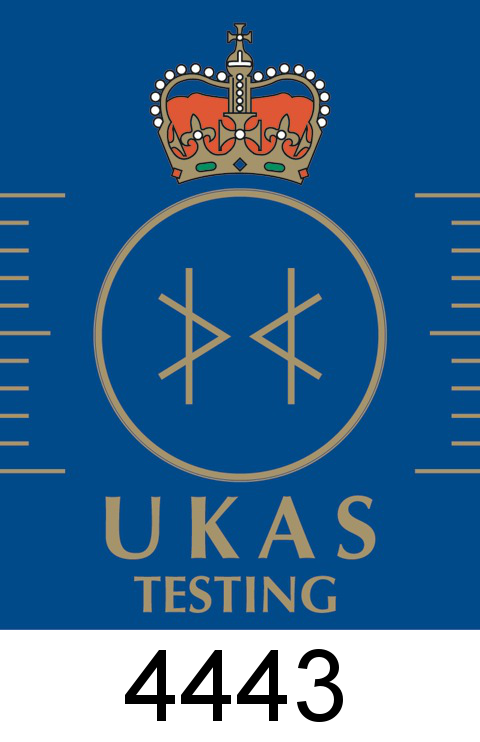 As an accredited UKAS testing laboratory, we are required to regularly audit all aspects of our laboratory business. Becky Turner, who has been working at the Wheal Jane Laboratory for three years, has broadened her skills through the successful completion of an auditing course by UKAS at Denham in Buckinghamshire. Regular audits are a requirement and are essential to ensure that all our systems and procedures remain compliant with the high standards of the international laboratory accreditation ISO17025. Work carried out by the Wheal Jane Laboratory has formed part of an ongoing research programme investigating the history of Whitley Castle. Analysis of a rock found against a curb on a road near the headquarters building and Commander’s house of this Roman fort in conjunction with study by archaeological experts suggests that it has been in the condition in which it was found since before Roman times. In recent months, considerable interest has been shown in analysing for silver in plastics and fabric samples. Several clients have presented a range of materials requiring analysis. Levels identified have ranged from greater than 10,000 ppm to sub-ppm, and have required the use of different methods and instrumentation techniques. Often used as an antibacterial additive, it is increasingly important for manufacturers to know that the target levels of silver are being achieved. The laboratory is also currently in the process of managing the disposal of over 140 tonnes of mining test work project sample material. This work has required a detailed sampling survey and an extensive analysis suite to ensure the site is left clean and contamination free, and that the samples are disposed of in accordance with strict Environment Agency guidelines. The laboratory has recently processed its 100,000th sample logged into the management system since unique numbering was adopted as part of the UKAS accreditation process. 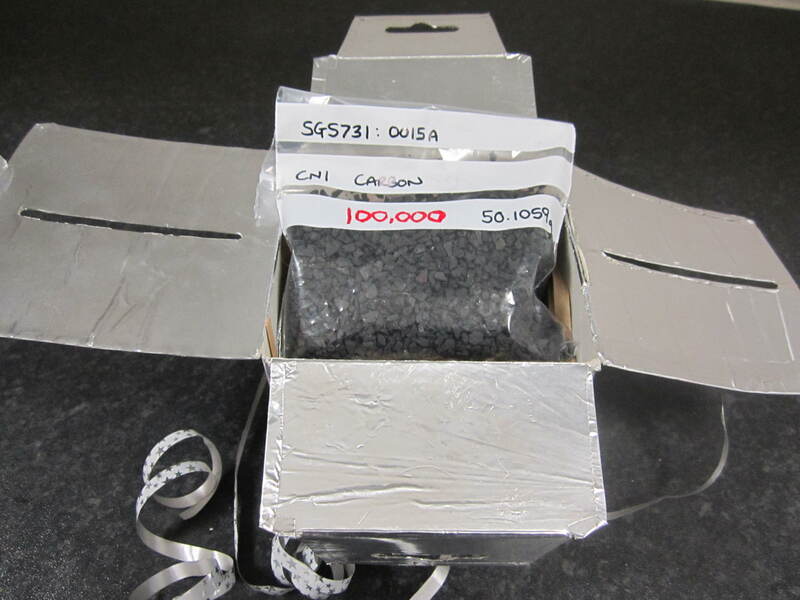 The milestone sample was a Scotgold carbon sample submitted for ashing and gold recovery as part of the ongoing toll treatment of concentrate from the Cononish mine near Loch Lomond in Scotland. On a more global scale, recent work has come from every continent. Some of this has been as diverse as gold and platinum analysis from the Philippines, potentially new mineral identification in the Congo, and closer to home we had been undertaking environmental water sample testing down to ppb levels from South Crofty mine just a few miles away! The water sample testing from South Crofty included looking for lithium dissolved in mine water, as part of recent exploration interest in extracting this highly sought-after mineral used in the battery industry. Lithium is considered relatively rare, but is found all over the world at low levels, with the sea alone calculated to contain many billions of tonnes. 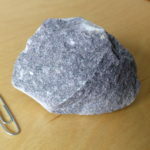 At present, brine pools in parts of North and South America are the main sources of lithium, but it is also found combined in various minerals such as granite pegmatites, normally at low levels, and mostly very difficult to extract. Only time will tell whether Cornwall becomes a global producer!